What famous experiment did Ivan Pavlov perform using dogs? Ivan Pavlov (1849–1936) was a Russian scientist who was originally interested in the digestive processes of animals. When trying to study how dogs digest food, he noticed the animals’ tendency to salivate at the sound or sight of their keeper shortly before feeding time. In other words, they salivated in the absence of actual food. Initially, this phenomenon was a nuisance, interfering with his study of digestion, but later it became the focus of his research. Pavlov’s studies provided the basis of the theory of classical conditioning, also known as associative or “Pavlovian” conditioning. 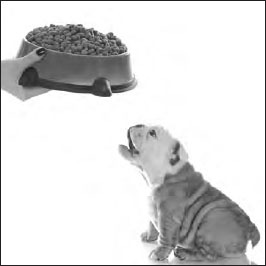 Pavlov developed his famous theory of classical conditioning after watching dogs salivate right before mealtime at the mere sight or sound of their keeper (iStock).